Why do we smoke or vape? We all have our reasons. Lets see which apply to you. – I’m addicted to nicotine. – It calms me down. – The withdrawals are terrible. – My tea/coffee break isn’t the same without it. – I need a cigarette after eating. – It’s a social thing. – I don’t enjoy nights out without smoking. – I just love smoking. – I’m unable to function in the morning without first having a cigarette. – I’ll put weight on if I stop smoking. We all have our own thoughts and reasons for smoking. Even when we know there is a high chance it will lead to a painful death. Whether its cancer, heart disease or COPD, there are no benefits to smoking yet so many of us do it. When the time is right, we will decide to stop. Again, we will have our own reasons for wanting to stop smoking. As a twenty year smoker and two year vaper I completely understand. I also understand the frustrations that come with the various other available stop smoking methods. Personally, some lasted longer than others but ultimately I still wanted to smoke and I felt like I was missing out. We will start the session having a long look at why you smoke and your thoughts and feelings around smoking. We will establish your facts. Hypnotherapy will then be used to help you change your thoughts and behaviours to free you of the slavery that is smoking. 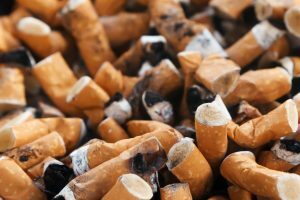 Hypnotherapy has been proven to be one of the most effective stop smoking aids. I should know, I used this very method. To this day I do not feel like I am missing out and I am so happy I managed to kick this awful habit once and for all! To learn more about hypnosis and hypnotherapy and how they work, take a look at our FAQs page. Call me now on 07738 219 464 to discuss what you want to achieve and how I can help you achieve it. If you prefer you click can on the link to the contact me page below.